Bake Some Sweets – Lalaloopsy Style! My daughters LOVE Lalaloopsy! They have several Lalaloopsy dolls and figures and they watch it every day. It is one of their favorite shows – and I must admit, I enjoy watching it as well! The doll characters are super cute and they always have a good lesson to teach in the end. 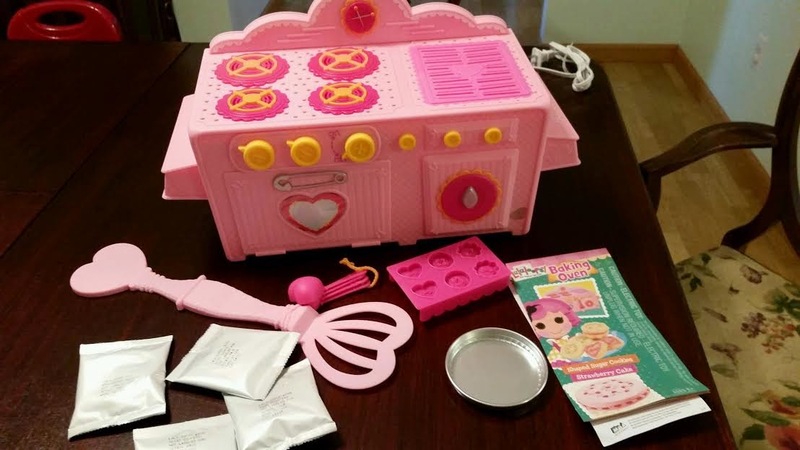 We were thrilled when the Lalaloopsy Baking Oven arrived at our door! My daughter was begging to use it and make some treats. When we got the time to open it up, I was really impressed. It looks like it came right out of the TV. It is really good quality too. The instructions were pretty easy to follow and it came with a couple of different mixes. Now, I will say that it takes 20 minutes to heat up, so plug it in a little bit before you plan to cook with it. I plugged it in and then told the girls they had to clean up before we could use it. 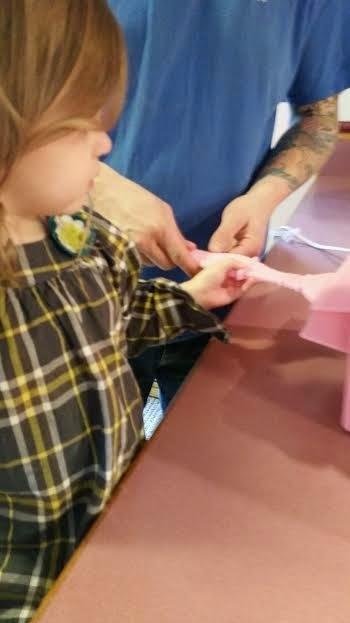 When making the strawberry cake, my 3 year old could really help with a lot of the things. The recommended age is 8, but if you are right there with your child and they understand not to touch the hot parts, 3 or 4 would be an OK age, in my opinion. 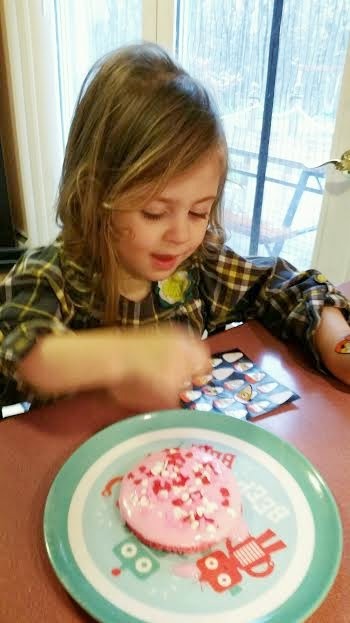 While it was cooking we had dinner and my daughter was so excited to eat her cake when she was done! 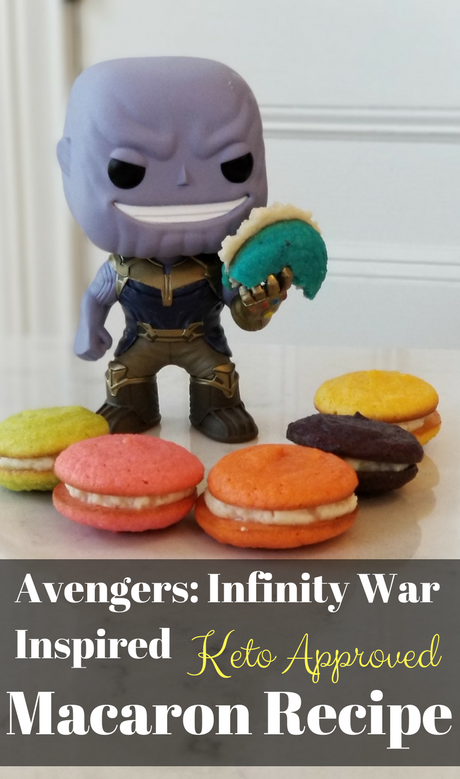 She says it was delicious – she did not let me even have one little bite! I plan to buy a lot of mixes for her Christmas gifts as stocking stuffers. 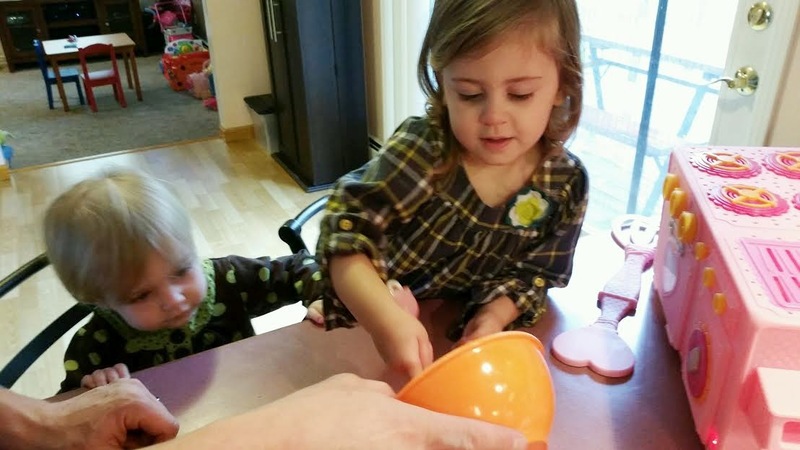 She has had so much fun with this and was bummed when we ran out of mixes. If your kid liked Lalaloopsy and treats, then this would make a great gift! I know that we will be using this for many years to come! Check out Lalaloopsy’s website to see where you can buy all of their great items! 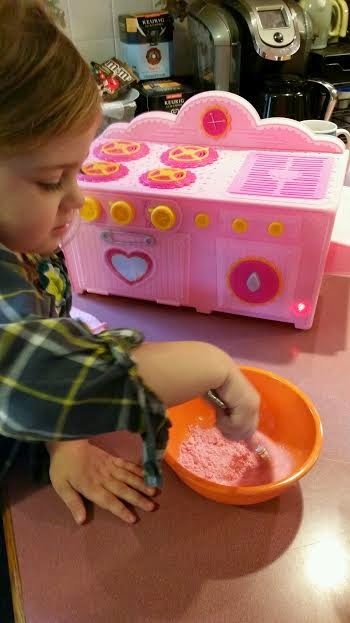 **Giveaway Alert** Enter to win your very own Lalaloopsy Baking Oven and read about the #LalaPJParty by clicking here! I received this free in exchange for unbiased, honest review. All opinions expressed are 100% my own. They are super cute and my kids would love to play with one!